With over 3 million free downloads on iTunes February 2-3, the song generated more than $3 million from Bank of America to support the work of the Global Fund to Fight AIDS, Tuberculosis and Malaria. In the first hour following the commercial airing, “Invisible” saw more than 1 million free downloads. Bank of America continued to donate $1 for every download until the offer ended at midnight Monday, exceeding their original pledge of up to $2 million in total donations. 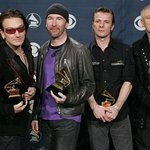 Building on that, U2 today announced that “Invisible” is now available to purchase on iTunes for $1.29, with all proceeds going to fight AIDS. To download please click here. The Global Fund provides life-saving HIV/AIDS treatment, testing and prevention services to tens of millions of people in the world’s poorest countries. The money raised through the Super Bowl initiative is part of a recently announced two-year, $10 million commitment by Bank of America. 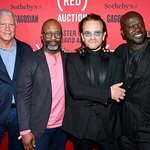 (RED) has already generated more than $250 million for the Global Fund since being founded in 2006 by U2 lead singer Bono and Bobby Shriver in order to drive corporate donations to the fight against AIDS.